For those of you who follow us on instagram, the picture above was the basically what went down at Super7's 13th Anniversary Party & Mini Skullbrain Reunion. This here was part of the Super7 Archives. Unfortunately, not every figure was present as some were still in storage due to the Super7/Hybrid offices moving to different locations until their final move takes place in a few months. Food and drinks were served. There was Pizza & Donuts along with Beer & Water. 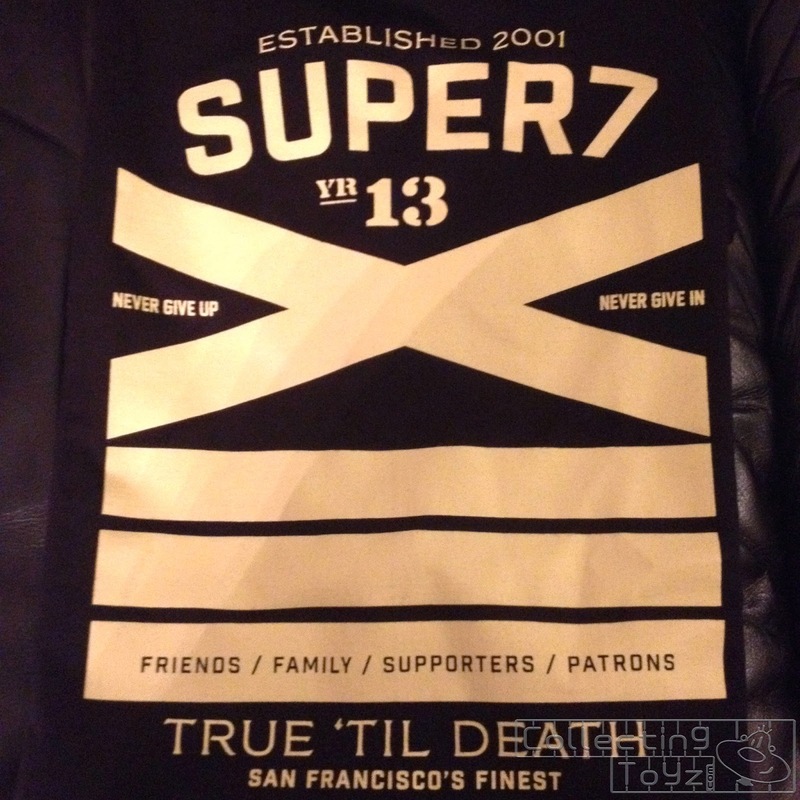 Also for those that attended, Super7 hooked us up with a special 13th Anniversary T-shirt. 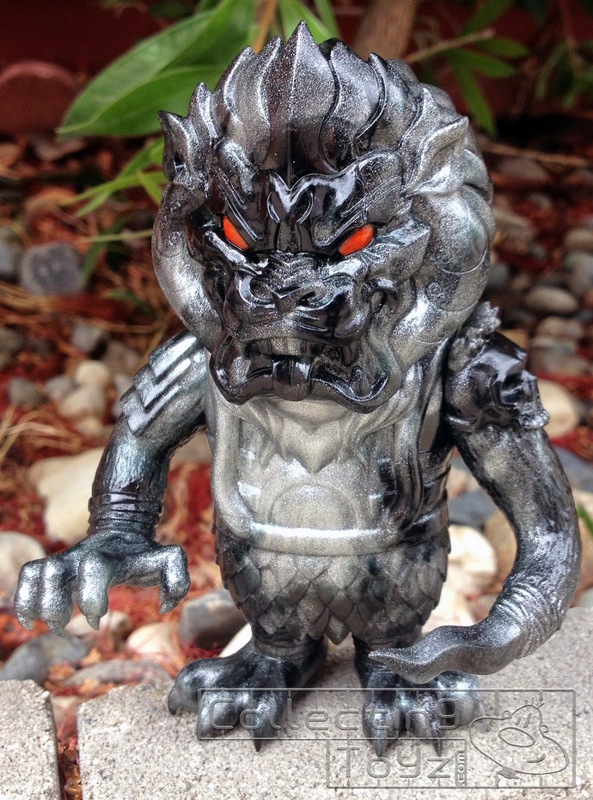 There was also a super secret release of unpainted mixed parts Robot Fighters that was released during the party. It ain't an Anniversary party without Lucky Bags!!! As with every year, Super7 offers Lucky Bags for sale and each year they give out hints without telling you what's actually inside. 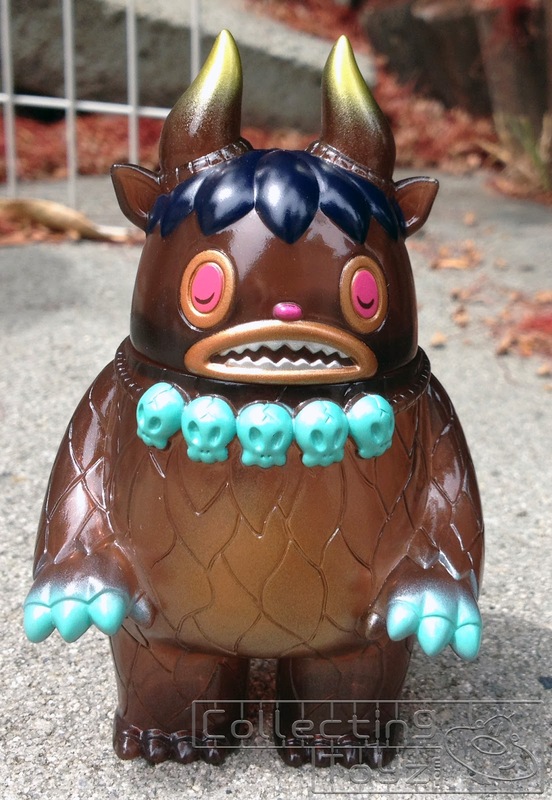 If you like Super7 toys then buying a Lucky Bag is well worth it. There were 2 sized of Lucky Bags this year. 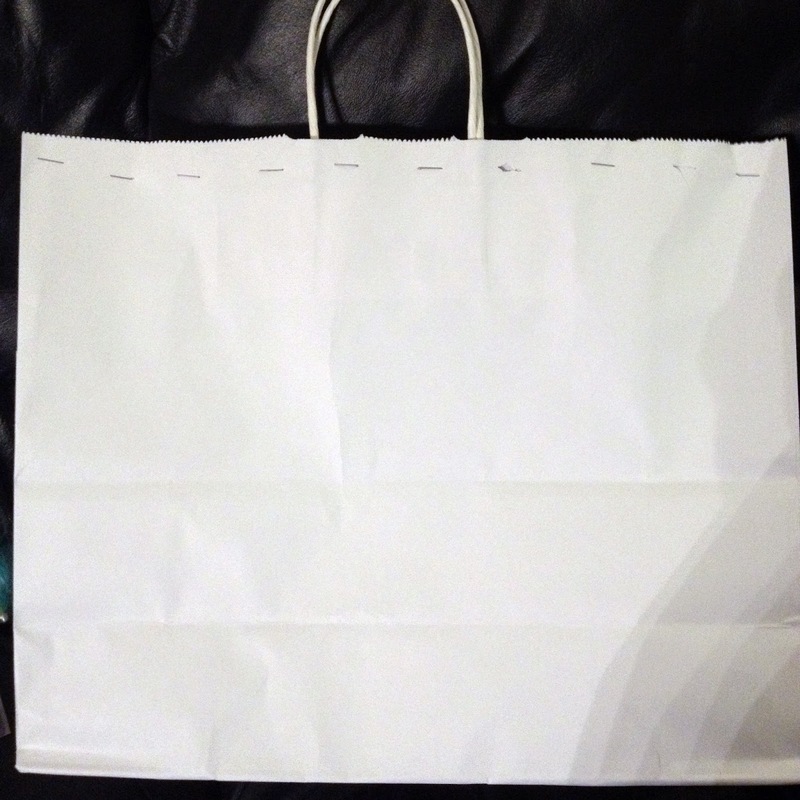 The small bag contained 3 figures while the large bag contained 6 figures. This year there were only a handful of people that purchased Lucky Bags while the majority of bags sold out online very quickly. So what has been seen so far? Well the first picture in this post shows some of what was inside the lucky bags this year. The majority of what else is in the bags, you'll have to check instagram or skullbrain. 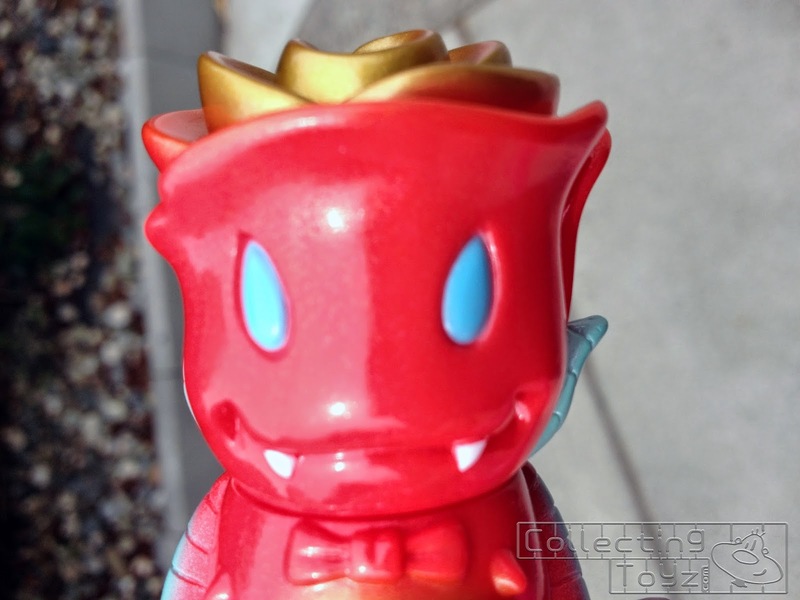 We saw with our own eyes, Earthwolf, Crystal Mecha, Oozebat, Steven The Bat, Mongolion, Mummy Boy, Garuru, Pocket Rose Vampire, Stinson (new figure by Invisible Creature), Honoo, Unpainted figures, Custom One-Offs, Robot Fighters etc... Every bag is definitely different from what we have been seeing so far. 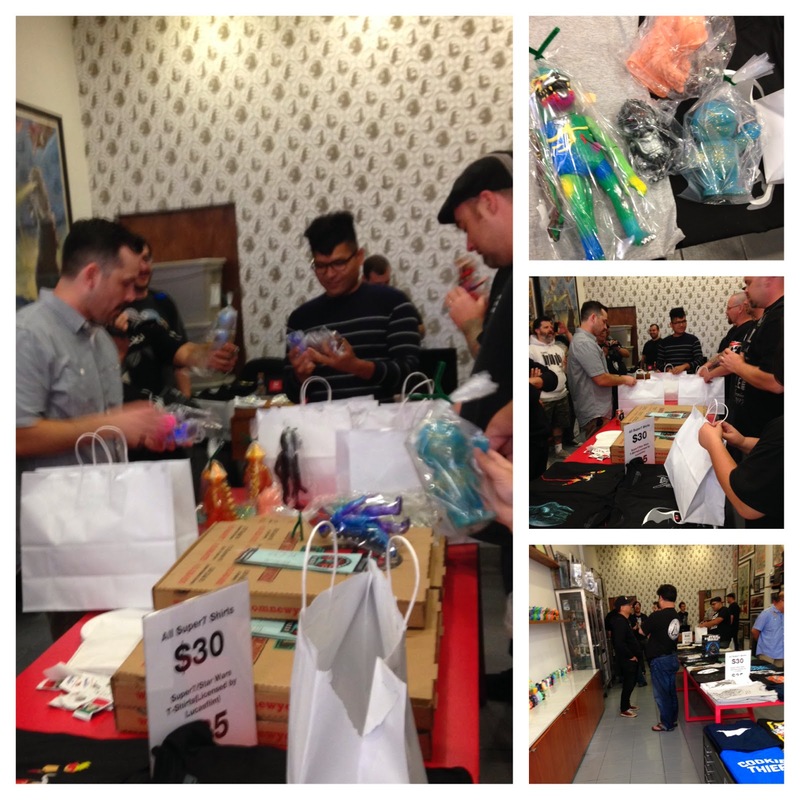 Below is a few pics of what we got in our Lucky Bag or purchased from other Lucky Bag buyers. 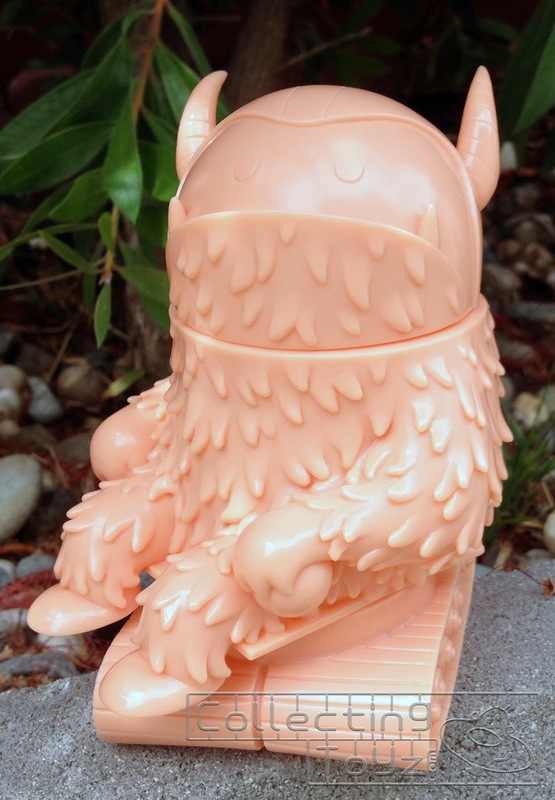 We'll have more pics of the newest sculpt released in the Lucky Bags, Stinson by Invisible Creature. From what we're told, there are only a few of these inside the Lucky Bags.